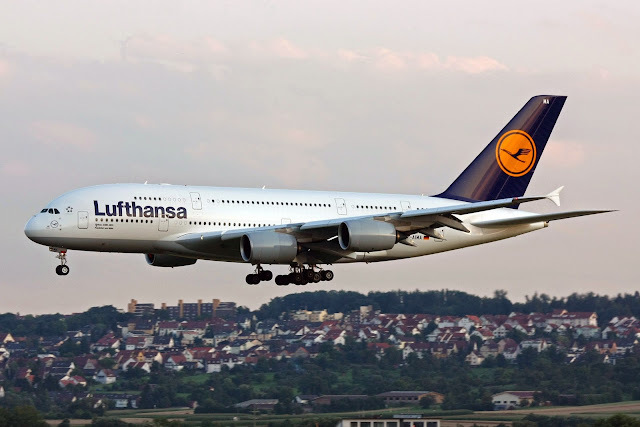 A Lufthansa Airbus A380-800, registration D-AIMD performing flight LH-462 from Frankfurt/Main (Germany) to Miami,FL (USA) with 427 people on board, was descending towards Miami, when the crew stopped the descent at 9000 feet due to weather conditions and entered a hold. After about 20 minutes holding the crew decided to divert to Orlando,FL, climbed to FL220 but aborted the flight to Orlando, turned around and decided to divert to Fort Lauderdale,FL, but again needed to decide to abort the approach to Fort Lauderdale due to weather declaring emergency because of being low on fuel. The crew decided to land in Miami as the weather had improved sufficiently in Miami. Upon checking in with Miami approach on approach to Miami the crew advised they had 5.2 tons of fuel remaining. The aircraft was vectored for an ILS approach to runway 27, went through a windshear (loss of 15 knots) about 2nm before touchdown, became visual at 400 feet AGL and landed safely on runway 27 at 15:26L (19:26Z) about 75 minutes after stopping the first descent at 9000 feet and about 13 minutes after reporting 5.2 tons of fuel remaining. The aircraft was instructed to roll to the end of the runway, vacate the runway there and follow the “Follow Me” vehicle awaiting the aircraft there. Sources told The Aviation Herald, that the aircraft touched down with 3 tons of fuel remaining, which was below the required final fuel reserve. The FAA confirmed on May 30th 2014, that the FAA have opened an investigation into the occurrence but advised that details would not be available before one month’s time.